Categories contain real but unbelievable content about People, Words, Initials, and Movies. Players make up phony answers, read them off along with the correct answer, and others vote on which answer is real. Score points for guessing correctly and for bluffing the other players. 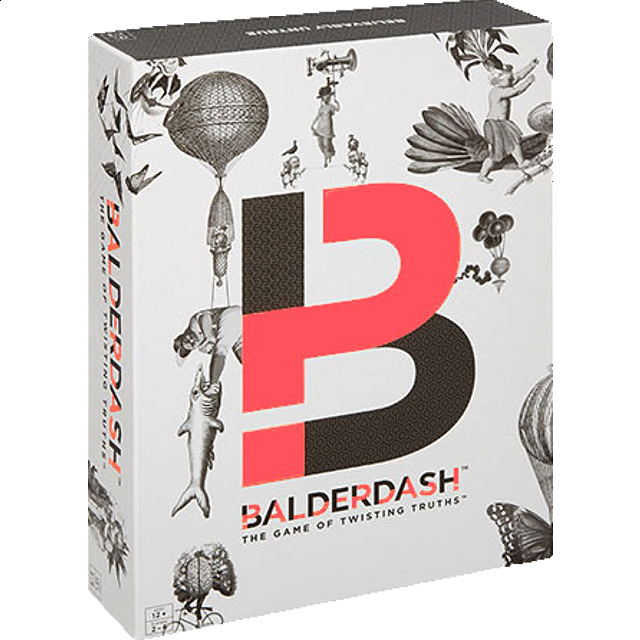 Grab the bull by the horns and play Balderdash, the game that is hilarious beyond belief!